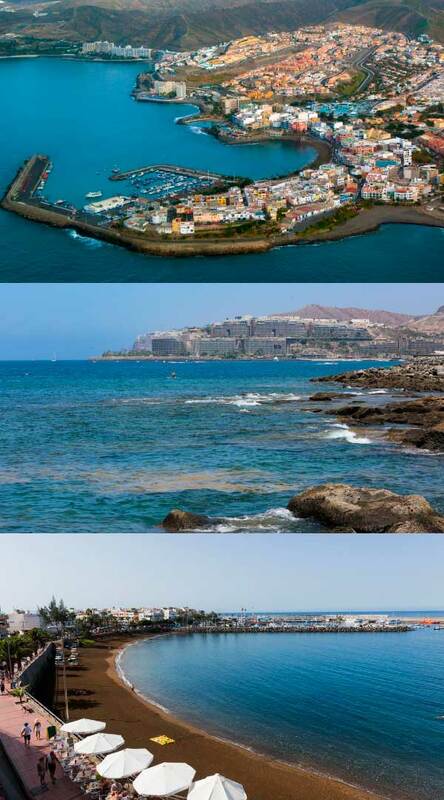 Arguineguín (Guanche for “quiet water”), also Arguinegín is one of the most populated towns along the south coast of Gran Canaria, Spain. A typical Canarian fishing village, it is home to many locals rather than being a tourist resort. It is part of the municipality of Mogán and is located southwest of Las Palmas. There are several bars and restaurants, the latter specialising in fresh fish caught the same day. Tuesday is market day (the largest on the island). Arguineguín features a beach and a port. Tourism is not as popular in Arguineguín as in the larger places as Maspalomas and Playa del Ingles. Holiday hotels, however, can be found in Arguineguín; Marino I, Dorado Beach, Club Puerto Atlantico, Sunwing Resort Arguineguín, Green Beach Hotel and Dunas La Canaria to mention the larger ones. The Norwegians have especially taken the fishing village into their hearts, and the Norwegian population is quite large in the winter time. This might also be due to the Norwegian school, Norwegian church and a Norwegian health center being located in or just outside of Arguineguín. There is also a Norwegian doctor’s office – located at the marketplace in Arguineguín – and a big Norwegian-owned timeshare holiday resort named Anfi del Mar, located just outside of Arguineguín. 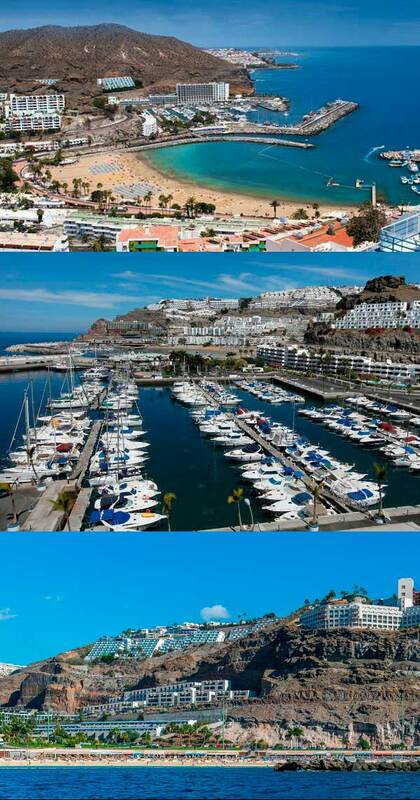 The harbour here hosts a ferry service to Puerto Rico de Gran Canaria and Puerto de Mogán whilst another popular way to reach the town from Puerto Rico de Gran Canaria is by trekking over the mountain between the two towns. The town also lies on several public bus routes offering convenient service to other towns on the island. Arguineguín is also served by an expressway (GC1) with a nearby interchange and a highway. Puerto Rico is a specially constructed holiday resort situated on the south-west coast of Gran Canaria. The island’s proximity to the African continent ensures an ideal climate, particularly in the winter, when the temperatures remain constant at around 20-25°C. The volcanic origins of Gran Canaria are very apparent in the island’s coastal ruggedness and contrasting verdant interior. Many of the rocky ravines that lead down to the coastline have been developed with holiday installations; Puerto Rico is one. The apartments and hotels adorn the sides of the otherwise barren cliffs. The urbanization began in the 60s, taking the neighborhood the name of the promoter, who decided to take advantage of the exceptional conditions of the local microclimate. This, particularly on the stretch of coast between Veneguera and Arguineguín, is considered among the best in the world for its stable temperature and humidity, as well as the protection against the constant winds typical of the island that provides the surrounding orography. Puerto Rico is one of the sunniest municipalities on the island. The tourist urbanization is protected from the trade winds by the summits of the island, which means that the sea is always calm. In addition, it has an average temperature of 25 ° C with almost no cloudiness and precipitation. The beach of Puerto Rico, the first artificial beach on the island, has the advantage of being close to the Marina and has a promenade of about one kilometer that separates it from Playa de Amadores. Puerto Rico extends through three parallel valleys or ravines that flow into the Atlantic Ocean; from east to west: Agua de la Perra, Puerto Rico and Amadores. It has two artificial beaches (Puerto Rico and Amadores), two marinas (Puerto Base and Puerto de Escala), parks, promenades, shopping centers and numerous leisure and sports facilities. Mogán is a town and a municipality in the southwestern part of the island of Gran Canaria, which is one of the three main islands making up the Province of Las Palmas in the Canary Islands, Spain. Its population is 21,782 (2013), and the area is 172.44 km². Mogán is the second largest municipality by area on the island. It includes the fishing towns of Puerto de Mogán and Arguineguín. Much of the population lives on the Atlantic coastline. 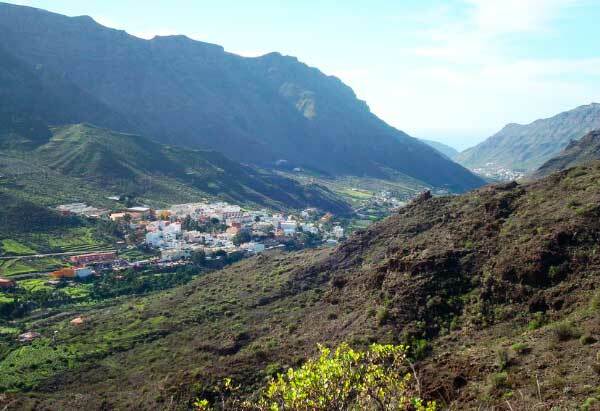 The town of Mogán is about 8 kilometres from the coast, 11 km north of Puerto Rico de Gran Canaria and 40 km southwest of Las Palmas. The GC-1 motorway passes through the south of the municipality. There is a string of tourist resorts along the coast.